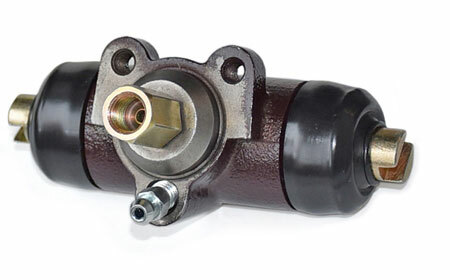 Wheel brake cylinder for the Wartburg 353 rear axle. This kind of brake cylnder fit to Wartburg 353 with brake drums at the front axle as well as some Wartburg 353 models form vintage 1975-1982 with disc brake system at the front axle. In the exploded view Weel-brake cylinder, rear , W353 (old version) is number 6198.